Not sure I'll ever really say that, Just Another 5k. They terrify me. Especially now. Three weeks ago I ran my fastest 5k ever. What if the last one was a fluke? What if I can't run that fast again? This one messed with me for days. I'm not yet confident in my ability to race. I had two goals going into this race. One was a more realistic one to me, to shave at least 30 seconds off my PR and the other was to go sub 25. ** edited a mistype. mean sub25 5k, NOT a sub24 5k!! This is the third time I've run this race. 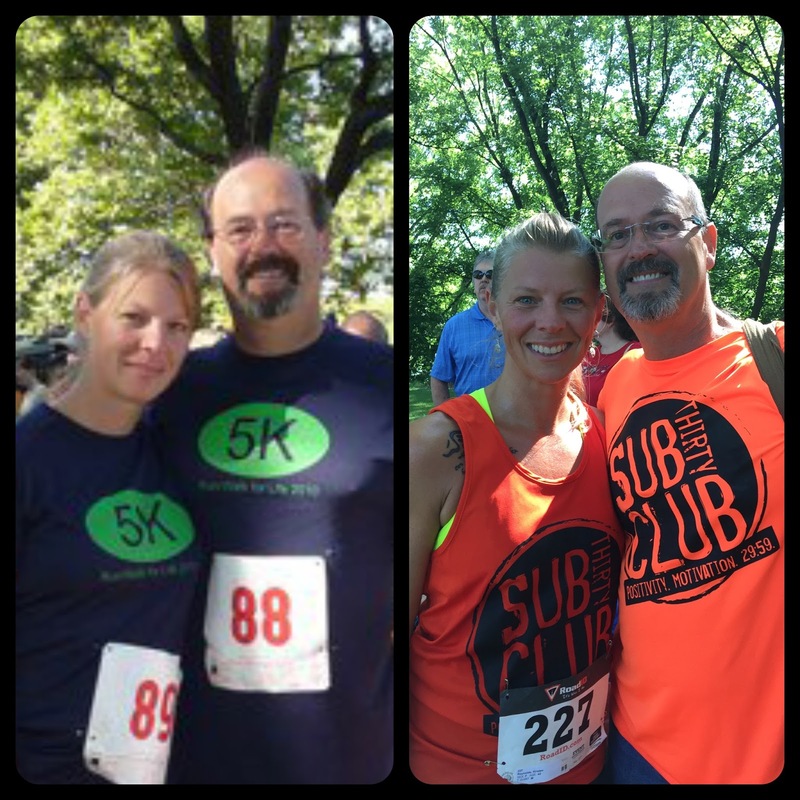 I ran it in 2009, my very first race ever, then I ran it with my husband in 2010. Some time since I ran it last, they changed the course a bit but it's still in Otsiningo Park. 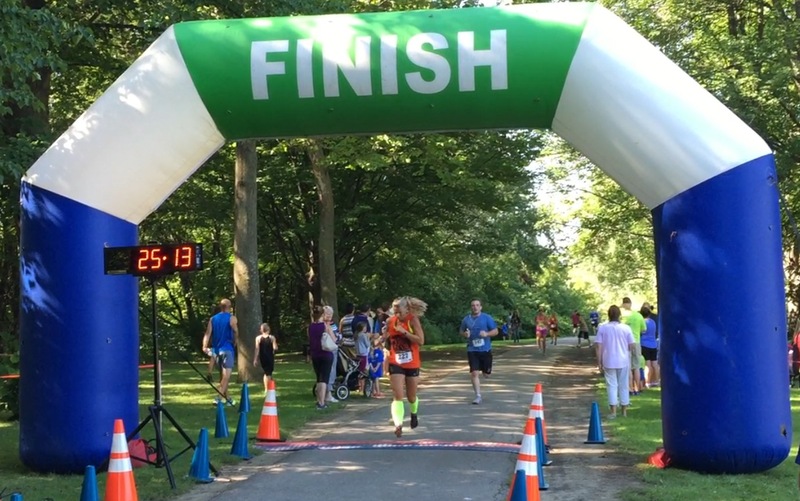 This race is part of the Spiedie Fest weekend, with concerts, balloon launches, spiedie cook off and the 5k race. 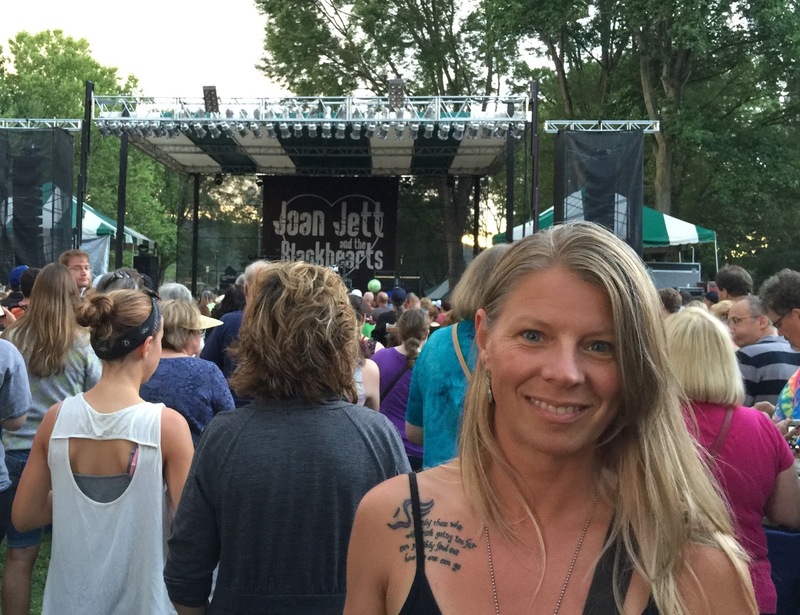 This year we attended the concert on Friday night, Joan Jett, and Saturday, Colbie Caillat and Rachel Platten. I spoke in another post about how Rachel Platten's song, Fight Song, is such an inspiration to me and it was really awesome hearing her sing it live. I'm participating in a scavenger hunt and a clown was of the items. This was a hard picture to pose for! I'm truly terrified of clowns. So back to the 5k! I was so nervous beforehand. I spoke with JJ the day before and we went over the warm up and cool down for the race. I felt a bit better having touched base with her. Even after my warmup I was still filled with way too much nervous energy. I couldn't stop moving. Me by the start line, about 5 minutes before the race. At the start line, I again had the feeling of being an imposter. I know this race has a very competitive field and I was questioning where I placed myself in the starting group. I thought about taking a few steps back. Dang, the announcer is talking and the race is about to start. I started out way too fast, as usual. One of these days I'll learn to slow down. 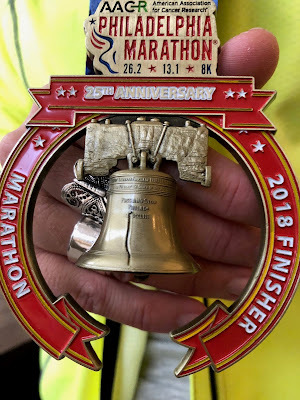 I was running 7:30 for about the first half. I kept trying to slow down and was able to get into a groove for the rest of mile one. I ran mile one in 7:55. Slightly too fast. Mile two threw me because we were down to single lane. It's an out and back and the leading men were on their way back. This part of the path is narrower and broken up (thankfully they'll be repaving and widening it). Not using it as an excuse because it didn't slow down those in front of me but I always worry about turning my weak ankle. So with being single lane, I was paying more attention to my footfalls that I wanted to be. I ran mile two in 8:20. Way too slow. I knew that would cost me my sub 25 goal. Mile three, I was determined to make up what I could. About 2.8 into the race I could no longer breathe. I mean: I. Could. Not. Breathe. I didn't have any moments until then where I wanted to stop. I could see the finish line across the pond. I knew it was right there. I didn't care. I was done. I was going to stop. When I was a smoker, I suffered from pretty bad asthma. My lungs would shut down so bad that my arms and hands would go numb and I could barely open my hands up to grasp my inhaler. I was so close to feeling that way. I couldn't get any air in, my arms were tingling. Somehow I was able to keep putting one foot in front of the other. Around the top curve of the pond and then I could see the finish line up ahead. I saw the clock. I knew I wasn't going to break 24 minutes. A part of me stopped right then. I wanted to sit and cry but I kept pushing. As I crossed the finish line, there was my Musician and Tinkerbell. I was thrilled to see them. Then I saw JJ. That was really fun to have her at the finish line too. I ran mile 3 in 8:09 (with an extra 42 seconds thrown in for the .10 of a mile). Too slow. As I kept running, much slower, trying to catch my breath I realized there was not one thing I could be upset about. I didn't know what my final time was yet but I knew it was faster than my last 5k. Another PR!! I was thrilled to find out my final time was 25:13 ~ 45 seconds faster than my last race. Tink congratulating me on my race. She's so cute and such a patient supporter. A month ago I got a new tattoo. It's one I've wanted for awhile. It's a quote from T.S. Elliot. It really speaks to me and especially where I am in my running right now. I look at the times of women in my age group and I can't help but wonder if I can reach those times. I have no idea how fast I'll be able to run but I'm enjoying pushing my limits in the 5k. The love of my life and biggest supporter.